Facing the aftermath of an accident or personal injury is stressful, especially when you’re coping with physical and emotional trauma. But with a Mesa, AZ based personal injury lawyer on your case, you’ll be more likely to recoup your losses and get your life back on track quickly. Call accident attorney Ray Arenofsky today at (480) 345-0444 to learn more about how we can help, and to schedule an initial consultation. An accident can be a terrifying experience and can result in serious harm, property damage, and emotional trauma. But with a compassionate accident or personal injury lawyer on your side, you’ll be secure knowing that your rights are protected. We’ll help by interviewing the individuals involved in your accident and identifying any possible negligence or malpractice. We’ll negotiate with the insurance companies involved to help cover your medical expenses. And if it becomes necessary to pursue a lawsuit, we’ll provide the advocacy you need to see your case through to a favorable decision. If you’ve missed work, we’ll help you get reimbursed for missed hours. In the case of a disabling injury, we may be able to secure long-term benefits. 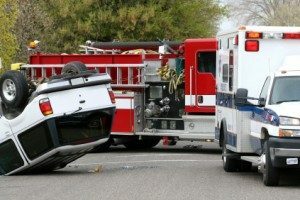 Phoenix, AZ area personal injury attorney Ray Arenofsky understands how devastating an accident can be. For this reason, Ray and his team is dedicated to working through the process as quickly and painlessly as possible. We’re here to answer all of your questions, present you with your full range of legal options, and, most importantly, help you seek the full monies you deserve. To speak with an understanding accident lawyer, give Ray Arenofsky a call today. 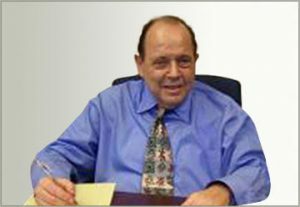 Personal injury lawyer Ray Arenofsky has been representing clients in Phoenix, AZ and Mesa, AZ for many years. Choose the local representation you deserve in Arizona, including Phoenix, Mesa, Tempe, Chandler, Gilbert, Scottsdale, Glendale, Peoria, etc. Auto accident attorney services from Ray Arenofsky can make a difference for you. Because we believe that everyone deserves a fighting chance, we aim to keep our fees low, and offer a discount for serious injuries. Just call us today to set up an initial consultation, and know that you’re making a sound choice for your future. Ray will create a team of attorneys who have exactly the right kind of experience for the specifics of your case. You can receive the compensation for your injury that you deserve. Get 50 years of experience with just one phone call. Call (480) 345-0444 today for a free consultation. We pledge to lend our extensive trial experience to improve the outcome of your case, working tirelessly to make sure that you have the advocacy you need during a difficult time. There are no legal fees unless we recover monies for you. Call (480) 345-0444 today for a free consultation and speak with a qualified personal injury lawyer or attorney in Phoenix, AZ.